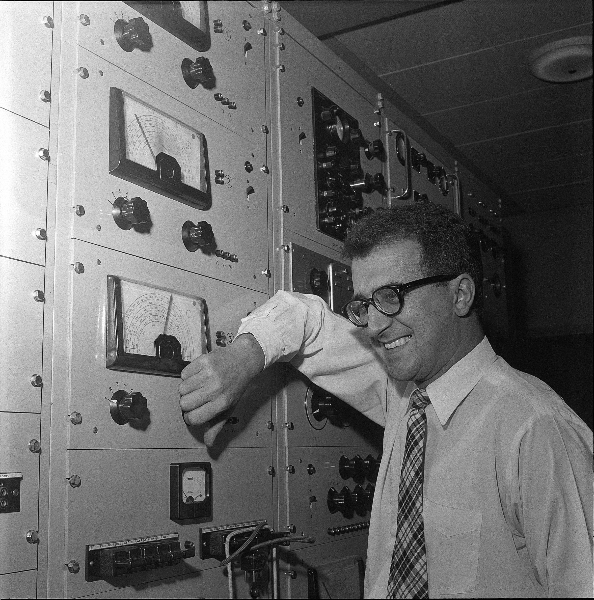 In 1953, on his return from a visiting period in the United States, Berio had written an article on concrete and electronic music (Musica per Tape Recorder, Il Diapason, IV, 3-4, 1953), arguing that the electronic synthesis and processing of sounds should be seen in continuity with music history, originating from the same “historical and human motives” that had guided musical creation in the past centuries. 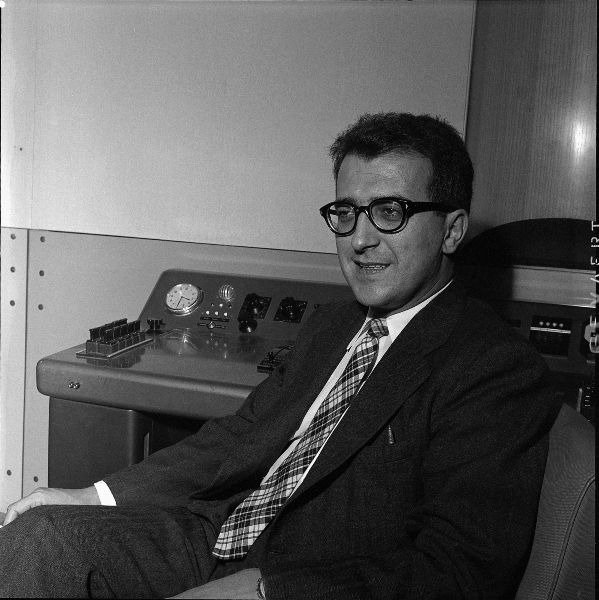 Berio also observed that, when compared to the international scene, italian composers were lacking funding and support to develop new experiences in electronic music (“Tenors and mandolins are clearly still regarded as our only bankable assets.”). 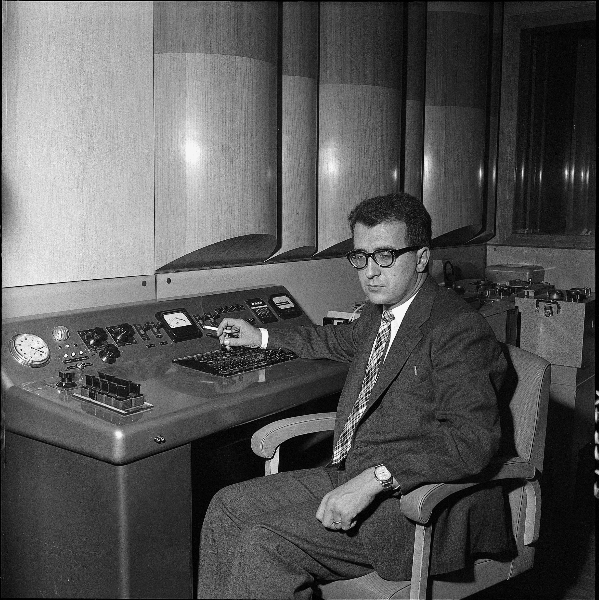 Maderna was one of the first young composers of the so-called “post-war avantgarde” to experiment with electronics. 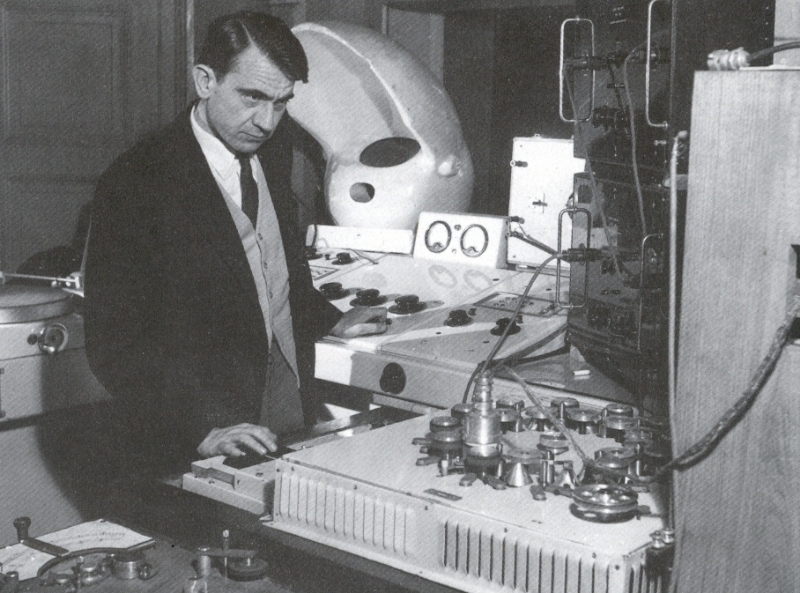 His first direct contact with tapes and sound synthesis devices dated from 1952, when he composed “Musica su due dimensioni”. 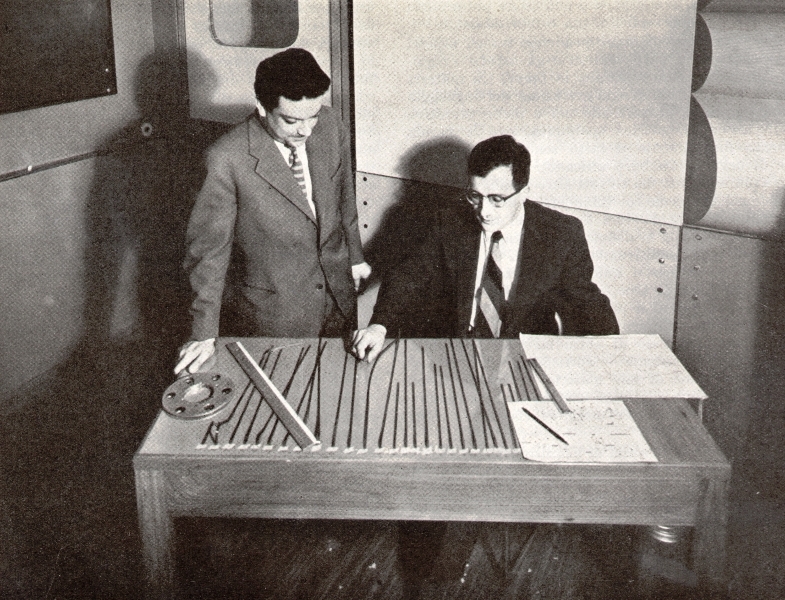 He and Berio first met in the summer of 1953, and later they attended together lectures and seminars on electronic music in Basle and in Darmstadt. 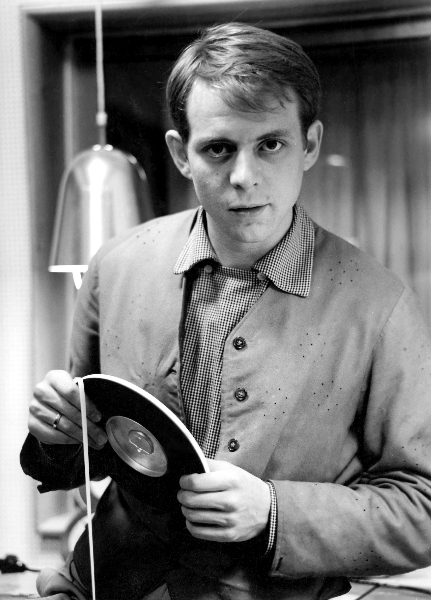 the setting up of a specialised tape library to conserve material for use in programme schedules […] as well as all recorded material of interest to radio broadcasting, collected from different countries and preserved for historical and documentary purposes. A special section of this tape library will feature sound track excerpts of various durations catalogued according to standard situations and psychological states, especially suited to the routine provision of sound effects. Of course such excerpts are to be produced by the Centre. 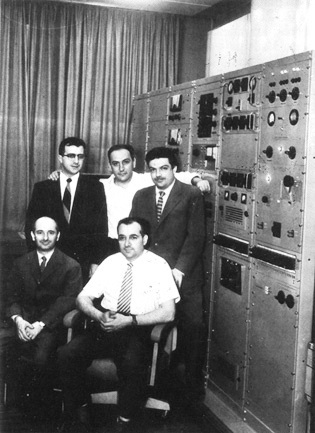 The coexistence of art music production and radio/tv production was seen by the proponents as the only way to demonstrate to Rai managers the utility of such a studio for the company.